I wish I could remember which blogger held this giveaway in which I won a chance to try Evian Facial Spray. (If you're reading this, please, let me know in the comments below!) 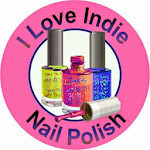 I had been reading about it on different beauty blogs, and thought, well, that's interesting. I've been using other facial mists, like Mario Badescu's, or Orange Blossom Water or Rose Water Toner as an occasional part of my beauty routine, but never aerosol water. All of these are good for refreshing makeup - if you feel like you've gone from dewy to cakey, try misting your makeup with a little water or toner. I did have fun taking my little travel bottle on a trip I took out to California. I brought a sheet mask and my Evian spray on the plane, but ended up sleeping most of the time and forgetting about them. I did spray myself and my husband when we were in the airport, though. It felt nice, and refreshing after flying all day from Florida to California. It has a neutral pH and minerals, and no funky smell like airport water tends to have. The aerosol is nitrogen-based, which isn't harmful to the ozone layer. A little Evian-inspired nailart. I used Essence Baby, You're a Firework, for the glittery base, and Sinful Colors Snow Me White, Glitter Gal Big Smoke, and KBShimmer Let's Not Coral for the mountains and bubble details. While I'm pretty sure that drinking water is better for your skin than spraying it on, there is something refreshing and pampering about cooling the skin with a light mist of mineral water. Would I buy it again? I don't know, but I did feel very posh using it! 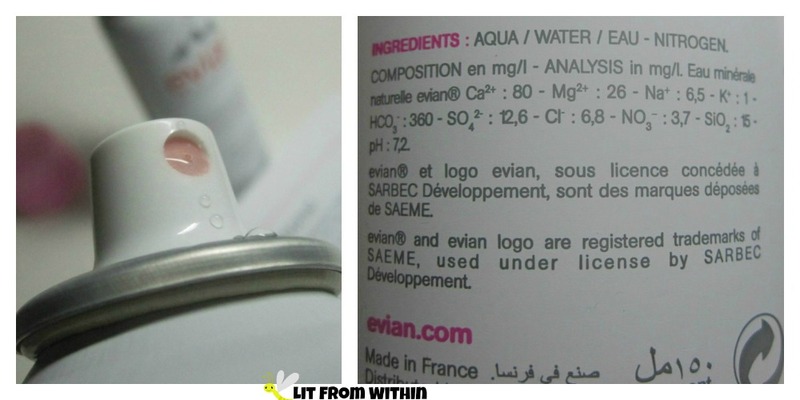 For more information, or to purchase you can find this facial spray (in 4 different sizes) on Evian's website.